Prop up a book silly. 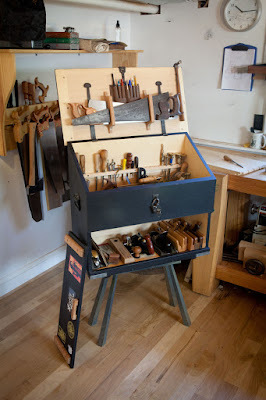 Now where was I . . . Oh yes, building a version of the William and Mary Book Stand built by Chuck Bender and showcased Popular Woodworking Magazine. If you need a refresher of where we're at, what we're talking about, and the ultimate answer to the ultimate question of life, the universe, and everything. Then you can find two of those things HERE. Now back to your regularly scheduled program. As I said before when talking about this piece, I was super impressed at how much of a challenge it was. There is a ton of joinery in this little 12" by 12" by 4" pile of walnut. 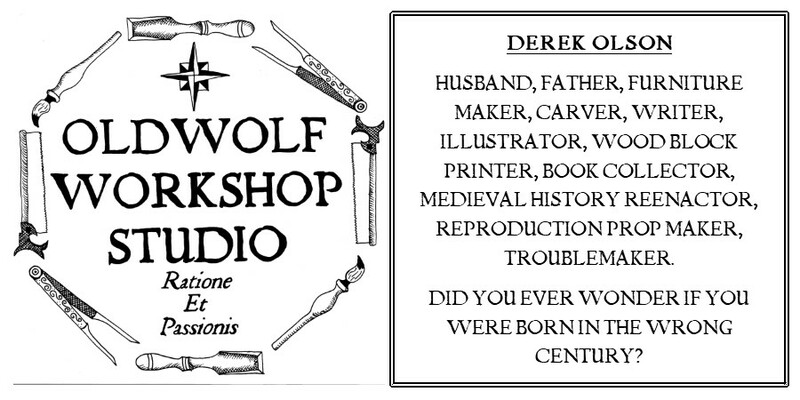 As I neared the end of the build I became more worried about the Derek Factor involved here. "I've come so far on this, I screwed up the last time I tried this piece, it all seems to be going so well, when will the other shoe drop and I deflower the pooch on this one." I was down to cutting and joining a piece critical to the proper function of the stand. The frame I had finished is really just a frame but two pieces inside the frame make it into a book stand. that's the saw-tooth rail and a tapered leg that spins on a pivot inside the inner frame. The first thing to do was mill a piece of walnut to size and then cut the tenons for the through mortises in the front and back pieces of the frame. Here's where the plot thickens...(pause for dramatic effect). I'm working away, knocking out the mortises with my 1/4" bench chisel. The first mortise goes off without a hitch, so I move on the the second mortise, I'm halfway through the thickness of the stock, I drive the chisel in and lever back to clear the chips and BAM. Now I know these Irwin chisels aren't Ashley Iles or Lie-Nielsen chisels, I've never claimed that they are even close. But really these chisels are pretty decent for the price you pay, I was planning to upgrade someday but not really just yet, and here my 1/4" is broken. I haven't abused it or did big modifications on it. The usage was not beyond what a bench chisel should be able to handle. To Irwin's credit, I visited the companies website and filled in a comment and in a couple days I heard back from a representative. Irwin was sending me a replacement chisel for my trouble. In the end I think they redeemed themselves. I will still find myself upgrading in the future, but that was always the plan. I found another 1/4" chisel in a drawer with other older chisels, it took some time to tune it up and get back to work. Once that ordeal was done I had another decision to make where the inner frame pivots in the older frame. Left alone the inner frame impinges on the saw rail as it raises. There are a lot of ways to fix the issue. I could bevel the backside of the bottom stile, but I was worried that would weaken the round pins I had cut from the ends of the stile. In hindsight I realize I could have made a localized round over right at the contact of the rail and stile. I guess I just didn't think of it at the time. With my first failed attempt at this piece I made the choice to notch the stile to move around the saw-tooth rail. I have gotten to look at that decision alot while it's sat around the shop, and I hate that decision. I wasn't going to make it again. The answer I decided on was to grab a small gouge and make a small groove in the saw tooth rail so the inner frame could travel up and down unimpeded. I used the bandsaw to back cut the slope into the cross cuts. Then I used a chisel to clean up the bandsaw marks.and refine the slopes. Now half of the mechanism was done. The swinging leg was what was remaining. I sized a small square section of stock to ride on two pin tenons inside the inner frame. I cut a small tenon into a piece of sized stock and a matching mortise into the small cross piece. A little work with a block plane and I had the leg properly tapered. I can't help myself, I had to dry fit the piece together once again. I was so tickled to see the piece together I had to reach into the backpack I carry back and forth from the shop to home and pull out a book to see how it looked. I'll bet you can't guess which book this is??? Now it was on to do some finish planing, some sanding, and some finishing. And one more thing, if you were disappointed that my earlier link did not contain the ultimate answer to the ultimate question of life, the universe, and everything. Well if you don't know already . . . the answer is 42. Bummer about the chisel but glad they are making good on it. And yes, I can guess which book it is. The content aside, its the golden color of the cover that is the clue. I really loved the concept of the Saw Tooth Rail. I'm surprised about the broken chisel. It occurs to me that if you have a power grinder you may re-shape the broken chisel to get a new tool. Maybe a drawbore pin, a nail set or may be a deluxe icepick. I can see that I'm not the only one who can't resist the temptation of another dry fit just to see the project taking shape. Its unusual to see a piece made in the william and Mary style, great work. It is a fantastic set of bench hooks and I have given them a thorough workout since I've gotten them. The versatility of the alternate fences is great! I do intend to do a big Bad Axe review here some day soon and these hooks will be a part of that. So I will follow by saying that if you don't own a set of bench hooks, or if you are looking to replace your well worn well loved bench hooks, you can not go wrong by picking up this set from my buddy Mark over at Bad Axe Toolworks.